Contrary to popular belief (and common sense? ), Saw: The Final Chapter did not signal the end of Twisted Pictures and Lionsgate’s cult horror franchise. And neither did Jigsaw, it seems. Sources close to Bloody Disgusting suggest Pete Goldfinger and Josh Stolberg (Piranha 3D, Sorority Row) are currently in the midst of developing a ninth Saw movie, though it’s unclear if this continuation will be angled as a direct sequel to Jigsaw or The Final Chapter – or something else entirely. What we can tell you, however, is that Jigsaw helmers Michael and Peter Spierig will not be returning to the director’s chair, meaning the Powers That Be will likely be sending out the feelers to find a potential replacement(s), if they haven’t already. 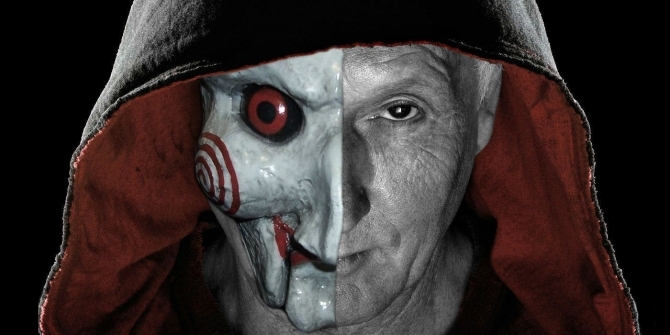 Buoyed by the return of John Kramer (Tobin Bell), Jigsaw scored $102 million off the back of a $10 million production budget back in October, so we can’t say we’re too surprised by news of a possible sequel. Then again, there’s always a chance that Pete Goldfinger and Josh Stolberg have been tasked with injecting some fresh blood into the Saw series by way of a soft reboot, one which could potentially strip away all of the messy continuity that is arguably beginning to have an effect on the franchise’s overall quality. One way or another, this alleged development tells us that Pete Goldfinger and Josh Stolberg are starting to make serious headway on a ninth Saw movie, which was initially floated back in January. Further details on their story and overall vision were not disclosed, but we’ll be keeping you right up-to-date as this project begins to coalesce.